Pennsylvania's Quaker settlers had no fondness for jugglers, actors, horseback riders, the singers of songs, or any of the other purveyors of the performing arts that they associated with the vice and decadence they had hoped to leave behind in Europe. But the human desire to be entertained, and willingness to pay for that entertainment, runs deep. Philadelphia by the mid-1700s was the largest and most cosmopolitan city in British North America, and as one might expect in so human an environment, show business quickly found its place. In 1774 the First Continental Congress would ban all commercial amusements in the rebelling states, but after that ban was lifted in 1789, Philadelphia for a while became the theater capital of the new nation. Its reign, however, did not last very long. 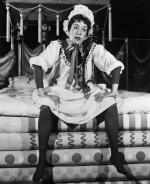 By the 1830s New York City had emerged as the center of American show business. Pennsylvania's entertainment industries, like those of other mid-Atlantic states, have ever since operated in New York's shadow, which has been a blessing as well as a curse. In the generations that followed, the bright lights of New York and then California - once the nation's emerging motion picture industry relocated there in the early 1900s - drew off many of Pennsylvania's most talented sons and daughters. Its proximity to New York also had its benefits. 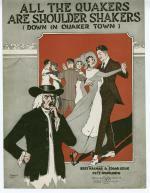 Railroads carried high-class entertainers to theaters across the Commonwealth, major productions worked out their kinks in Philadelphia before opening on Broadway, and the beauty of the Pocono Mountains and Bucks County farmland offered playwrights and songwriters welcome escape from the constant noise and excitement of the Great White Way. Stephen Collins Foster, late 1850s. In the early 1800s, Pennsylvania and other states had few cities large enough to support their own theaters, so itinerant musicians, circuses, stock companies, and others who were paid to entertain fanned out across the country, performing in converted barns, taverns, and any other space large enough to hold a paying crowd. Performances were always live events. But the great Industrial Revolution that transformed the nation in the 1800s also transformed the arts and crafts of show business into the modern entertainment industry. At its heart, industrialization was the shift of production from human hands to machines. When Richard M. Howe in 1846 attached a steam engine to a cylindrical printing press, the age of mass media had arrived. Soon enterprising publishers were cranking out thousands of inexpensive newspapers, magazines, dime novels, and "sheet music" for an eager consuming public. 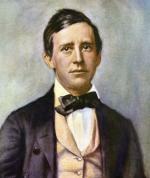 In the late 1840s Stephen Foster of Pittsburgh became the first American to attempt to make his living by selling the songs that he wrote. It was an idea before its time - Foster would die broke in New York City in 1864 - but in the generations that followed, the American popular song industry would be built around the manufacture and sale of sheet music. In 1877, Thomas Edison patented the phonograph, a machine that captured and replayed sound, and the industry of mechanically reproduced "canned music" was born. As Americans moved from farm to factory, they increased their consumption of manufactured and commercially provided leisure goods and experiences. Mass production required mass distribution and sale. Even as the Pennsylvania Railroad was becoming the world's largest corporation and Andrew Carnegie was building an empire in steel, smaller show business entrepreneurs like Isaac Mishler of Altoona were giving way to leisure industry oligopolies, in which a handful of wealthy and powerful producers dominated American theater, popular music, and other industries in the business of selling pleasurable experiences and dreams. By 1900 New Yorkers had consolidated their control of the American sheet music industry, vaudeville, and musical theater. With its industries booming and population soaring, Pennsylvania had large and avid audiences of working-class men and women eager to pay for a song or a dream. The emerging phonograph and motion picture industries created opportunities for Pennsylvanians selling cheap, mass produced "canned dramas" and "canned music." After Emile Berliner invented the gramophone - which enabled the mass production of recorded sounds - he in the 1890s set up his first recording studio and record store in Philadelphia. Using his technology, the Victor Company in Camden, New Jersey, became the nation's largest record company, and its proximity for decades drew world-class musicians for performances across the river in Philadelphia. Philadelphia optician Siegmund Lubin built one of the nation's first major motion picture production companies. On the state's western borders, young entrepreneurs opened nickelodeons and then moved into film distribution for the thriving steel and coal towns of the region and for the booming metropolis of Pittsburgh, where Harry Davis and John Harris are said to have opened the nation's first nickelodeon in 1905. 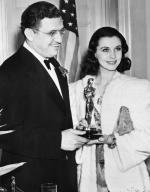 Film producers Lewis Selznick and the Warner brothers got their starts in western Pennsylvania before moving on to Hollywood, as did theater impresario Samuel "Roxy" Rothafel, who went on to manage New York City's Radio City Music Hall. Industrial production of canned music and canned drama turned the individual show business performances of the nineteenth-century stage into replicable commodities that could be mass produced and distributed in a broad range of media: wax cylinders, and bakelite and vinyl "records"; reels of magnetized Mylar tape and celluloid strips; compact disks and silicon chips. In an industrial economy, size matters; so the emerging entertainment industries focused on large, mass consumer markets. And in the twentieth century, hundreds of thousands of African Americans up from the South joined the mixed nationalities of Philadelphia's and Pittsburgh's industrial neighborhoods. As one of the nation's largest cities, Philadelphia, and to a lesser extent Pittsburgh, had the clubs, dance halls, theaters, and the paying customers to support thriving music scenes of jazz and swing, rock and roll and Doo Wop, pop and soul, hip hop and punk. 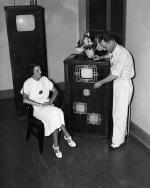 American commercial radio began in Pittsburgh, when Westinghouse in 1920 began to broadcast as a commercial shore station under the call letters KDKA. And in 1954, Pittsburgh launched the nation's first community-sponsored television station, WQED, home to celebrated children's show host Fred Rogers. In the 1930s, Philadelphia, through the work of inventor Philo Farnsworth and the Philco Company, played an important role in the development of television. Philadelphia also launched the careers of pioneering television comic Ernie Kovacs and the medium's first great host of horror, John Zacherly, but national broadcasting would be based in New York City and elsewhere. Philadelphia did become a national trendsetter, however, when American Bandstand, a local teen music and dance program, went national in 1957. Before the program moved to Los Angeles in 1963, Bandstand fueled the growth of a thriving Philadelphia recording industry and thrust local acts to national prominence. In the late 1900s, Pennsylvania also became a center of national film production, for the Commonwealth had a great diversity of historic, natural, and gritty urban landscapes where feature films and television series could be produced significantly cheaper than in California. Young filmmakers, including George Romero in Pittsburgh, and David Lynch and Sylvester Stallone in Philadelphia, produced breakthrough films in the Commonwealth that exposed national audiences to the local cultures and style.